This article shares tips from the 6th episode of Dealista, our podcast that'll help you get more for less. Coupons themselves have had their own extreme makeover, moving up the technology ladder to help their users retire the scissors and cute coupon organizers. The digital age has drawn a whole new generation of couponers, and they're determined to turn the measured art of couponing to their instant gratification ways. Before I get to the staggering list of great deals and coupon sites dedicated to serving savvy shoppers like you, here are a few tips on using them efficiently. The number of sites and services might seem overwhelming at first, but the best ones allow for total customization. Only choose to receive coupons from stores you select or products you specify. If you haven't joined in on the action, there's no better time. Save now -- no clipping required. Are you a shoe fiend who can't bear the thought of missing out on a sale? Are you in the market for a laptop or a digital camera? Have your favorite sites notify you immediately when a deal matches your preferences. You can be as specific (Visioneer OneTouch 7400 Scanner) or general (shoes) as you'd like. Rather than having to constantly check these sites, you'll be notified immediately when something you are eyeing goes on sale. If you are a Twitter addict, you might as well put it to some extra good use. Major retailers as well as local restaurants are sending promotions, coupons, and deals exclusively to their Twitter followers. Many coupon and deals sites are also offering Twitter alerts. Your favorite frugal bloggers are sharing deals on Twitter, too. If that's too many for you to follow, use handy Twitter-specific aggregators like CheapTweet and CouponTweet. If you haven't had the chance to get in on Twitter yet, here's a handy Twitter guide. A recent article in the New York Times featured the rise of mobile coupons. No more forgetting to bring coupons with you. Get them sent directly to you, wherever you are. When you’re checking out, simply show your cell phone to the cashier and voila, your savings are ringed up. Sign up with services like Cellfire, MobiQpons, and Yowza, and if you have an iPhone, Coupon Sherpa is an app that handles coupons for popular retailers. Sites like Shortcuts allow you to link coupons to your store savings card. For example, if you have a Vons card, select the coupons you want and it'll be added to your Vons card. When you're checking out, swipe your card and your coupons will apply! Not sure if a deal is great or just so-so? The best deals sites offer editor picks and allow users to vote and comment on deals. Use the power of social media to decide whether to jump on a sale or wait until a better one comes along. Here they are. These sites will help you find the best bargains and coupons. The latest deals and coupons aggregated from the top sites around the Web. Plus the Top 10 deals of the day hand picked by Wise Bread. Subscribe to receive the daily deals roundup delivered to your email inbox. My personal favorite deals site, the writers at dealnews do the very hard work of scouring the web every day for only the best deals on the hottest items. Every deal has been verified and the retailers are reputable (they ban any store with a history of poor customer service). Unlike many other deals sites, their site is easy to navigate and use, which is a godsend for any deal hound trying to get in and out quickly so they can catch the deal they want. Get up-to-the minute deals on your phone with free printable and text message coupons that you can redeem by just showing the cashier. An essential destination for the busy parent and homemaker. The site has the best baby, kid and maternity bargains available, as well as the weekly circulars for grocery and drug stores. Another awesome feature is their Monthly Deal Forecast where they predict upcoming bargains, so you don't miss out by buying too early! Deals are handpicked and updated several times a day, this popular site gets on all the "top lists" for good reason. They've also got a fantastic tips section that offers valuable bargain hunting advice. One of the longest running bargain sites around and still going strong, Ben has a loyal following because of his carefully selected deals, which includes advance notice of upcoming deals and exclusive offers (not to mention fantastic giveaways) for his readers. There are also special tracker tools that tracks down hot and hard to find items, so you don't have to run all over town yourself. One of the few non-tech oriented deals sites, this one covers an array of deals that tackles the shopping lists for everyone in the family. Brad's been interviewed by many news and talk shows, and is recognized as an expert bargain hunter. You can't go wrong following his picks. A fun and innovative site that gives deals hounds another thing to be excited about. Not only do users vote deals up or down, but they get money and prizes for doing what they do best--finding the best deals and telling others about it. Get groceries, shopping, restaurants, and entertainment offers sent direct to your cell phone. With Cellfire, you never have to print, clip, or forget your coupons again. A top resource for Dell and HP coupons and an indispensable site for anyone considering a computer purchase. Of course there are coupons and deals for all sorts of products, too. The site is updated hourly, often posting more than a hundred deals and coupons a day. They scan and gather the best deals, coupons and sales people are tweeting about. Users can rate deals and the number of retweets contribute to whether a deal makes it to their Cheapest Tweets list. If you have a favorite store or don't like the idea of ordering from a place you've never heard of, stop by Coupon Album where the deals are listed by store. They've got coupons and deals for hundreds of the most popular stores. A popular coupon site that updates their directory three times a day to keep their coupons fresh. Their straightforward navigation allows you to find coupons based on features like most used, printable, and free samples. A clean and simple coupon site that offers discounts for over a thousand stores. You'll have no problems finding just the right discount for you. At Coupon Craze you'll find internet shopping store coupons, online coupon codes, free shipping coupons and discount coupon code for store savings. Use their tools to find the best coupons and keep up to date on the latest codes. A favorite site for the busy mom, Coupon Mom breaks up the offerings into easy to manage and digest sections. Find printable grocery deals by state, restaurant coupons, free offers and samples, and a daily roundup of the best coupons on the blog. Updated several times a day, the site offers exclusive online coupon codes, link based coupons, product discount news and sale announcements. Follow their blog for the most up to date announcements, and their forums for all kinds of hot deals, like travel, online auctions, rebates, and sweepstakes. A super user friendly site for the most current grocery coupons. You can enter your zip code for area specific deals, then select the coupons you want, and print them out. It's a great alternative to going through the Sunday paper and clipping your own. This handy app provides hundreds of in-store coupons for many merchants right to your iPhone or iPod Touch. They scour the world's most popular social networks for special discounts and get special, hard-to-find deals from their partners and friends. A top site that offers a full staff of editors to ensure the quality of the deals, along with a large forums community that contributes shopping advice and reviews. Their Sunday Ads section allows you to look at discounts from over two hundred stores. Stop buying the Sunday paper just for the ads. A terrific community site which features the best deals found by regular shoppers like you. No editors. No filters. If you like getting unbiased and timely bargain information provided by like-minded deal hunters like yourself, this is the site for you. Aggregates deal discussions among the most popular and largest communities. You no longer have to visit several forums to find the best deal -- Dealighted does all that work for you. You won't find anything but the very best and most current deals featured. Members vote for the best coupons and sales and never miss a deal again with their Comparison Shopping Toolbar. Get instant price comparisons and related coupons and deals without leaving the store site to scour the multitude of deals sites to confirm the bargain. The clean and simple site makes searching for coupons a breeze. They have an amazing tool called the Amazon Discount Finder which searches for items currently at 10%-99% off. You'll also find great free sample coupons in the Coupon Blog. Dealplumber's mission is to make it easy, hassle free and fast for anyone to find the best bargain, discount, deal, coupon and promo code. Deals and coupons are handpicked and shared by other users (monitored by dealplumber volunteers for quality) to save big on everything they shop online. With a slogan like because paying retail is a crime, you can be sure that they take their deals seriously. A vibrant community votes for the hottest deals and their Quick Submit Tool makes submitting deals just one click away. Get real deals for real moms. Tara handpicks the best deals for moms and their families. A clean and simple deals site (quite a rare thing to come by) that packs a punch without the clutter. If you are looking for a site with great deals but that won't overwhelm you with hundreds of deals and links at once, Deals2buy is the place to go. Presenting only handpicked bargains from the most reputable American retailers, the staff is committed to providing every resource to help shoppers save money. They understand the uncertain credibility of many unknown online retailers, so they try to search bargains from big online retailers or stores with nationwide presence, so shoppers can feel safe and secure with their purchases. A site that uses the power of social media to determine the best deals to feature. Members submit and vote for the best deals. You can be sure that only deals with member consensus show up on the homepage. Along with coupons, store specials, and freebies, you'll also find the Sunday circulars from any store that has one -- an extremely useful feature to prepare for seasonal sales like Black Friday. A deals site that doesn't just focus on tech bargains. Find discounts for clothes, toys, jewelry, and more. Their simple design makes the forums easy to navigate -- no small favor for the rookie deals hound. A site that gives you money back for shopping. Most coupon and deals sites make money through commission. Ebates does too, but they like to pass some of that back to you, the actual shopper. What better bargain can you get than that? One of the largest online coupon websites listing more than five thousand stores and tens of thousands of active coupons and deals. Members can earn cash back when making purchases with participating partner stores. Buy a book of coupons for your area for less than 20 bucks, and get coupons for restaurants, movie theaters, and shopping. You can get exclusive discounts on stuff you buy every week like movie rentals, pet supplies, books, office supplies, lunch, clothes, and a lot more. I get an Entertainment Book every year and make my money back in the first two months. A robust forums community of dedicated bargain hunters. In addition to hot deals and coupons, FatWallet offers a variety of tools for reviews, price comparisons, and instant alerts. Their greatest unique feature is their cash back rewards program for shopping with hundreds of partner stores. Get money back for cashing in on a huge deal? It doesn't get any better than that. One of the few drawbacks of online shopping, and the bane of a bargain hunter's existence, is to have a great deal spoiled by a shipping charge. FreeShipping saves the day by providing free shipping codes for over 800 vendors on the Internet. A very well rounded site offering deals for a variety of items (as opposed to mainly tech focused as is the case with many deals sites). Their annual coverage of Black Friday deals is truly spectacular and an essential destination for any bargain shopper. An extensive site that provides a comprehensive listing of the grocery deals in your area. The filter settings in your profile allow you to specify things like food allergies, preferred stores, and dietary considerations, so you'll get a customized list of only the most relevant items for you and your family. 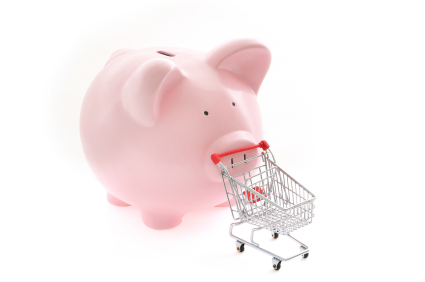 An online community bringing together consumers to share money saving tips and offers. The site provides a comprehensive directory of freebies, coupons, and other discounts and deals. A leading consumer destination for online coupons, discounts, and promotional codes for merchandise, travel and services, committed to helping consumers enjoy a hassle-free shopping experience. Members rank coupons based on their reliability. Tools, widgets, and a Firefox extension are available for quick and easy access to your coupons. Their people-powered price comparison engine, Beat My Price (beatmyprice.com), allows you to enter the deal you've found to see whether it truly is the best available. At Savings.com, members and coupon hunters find the best coupons on the net and then the Savings.com community decides which coupons are the best coupons. Their simple search engine and category list makes it quick and easy to find exactly what you're looking for. Savings.com aims to be the first and last place you look to find the best available coupons for whatever it is you're looking for. Rather than scour through all the deals on the web, create your own wish list of items and wait for a bargain to appear. Select your size, brand, and other preferences, and you'll get notified if there's a relevant sale. It's like having your own personal shopper! An easier way to lower your grocery bill. Just add coupon savings directly to your grocery store loyalty card. A popular, if not the most popular, deals site around today. The homepage displays only the hottest deals, but the true action happens in their forums (forums.slickdeals.net), where the community reigns. You won't be wading through an ocean of not-so-slick deals because the community takes care of those for you. You can always get the inside scoop on the most current deals. In addition, their shopping tools, feeds and alerts ensure that you won't miss a single sale. A fun, quirky site that features a wide range of deals across different categories. Deals are ranked by the community and you can follow the wild antics of the owner in the blog section. An essential stop for any technology purchase, they not only provide deals, coupons, and the latest bargain news, they have a variety of helpful shopping tools. Their search engine include eBay sales, a useful feature. Read their Hot Tip articles for important shopping advice. Review their recommended products database for items you should consider buying. Get rebate and vendor information for no fuss execution. Everyone is familiar with the thick Valpak envelope of coupons that arrive in the mail. Now you can get instant access to all coupons currently available for your area. This is hands down the best place to get coupons for local services like dry cleaning, auto repair, and restaurants. Get mobile coupons and exclusive offers from over 10,000 merchants nationwide. Save a coupon to your account and access via your mobile phone. Have coupon codes texted to you when you save a coupon. http://dealsea.com/ is one of my favorites. I like http://www.couponsdealspromos.com/ for saving money via coupon codes and deals. Coupon site http://www.dealoyster.com for current coupon codes gets my vote! if you're living in southern California try Zoupons app for local coupons and deals. they also offer online coupons on their website. May not make the "50 Best" but I just learned about Groupon.com. This site has deals in certain metropolitan areas (and growing?). A deal is posted but is not available until enough people have signed up for the deal and paid. If the deal does not make, the money is refunded. If the deal makes everyone gets a huge discount. Deals you may be interested in may not be posted everyday but when one is it's fun to watch to see if you're going to get it. You can help the deal to make by getting your friends to sign up for it. GroupOn is great. I also really like http://www.dealscans.com They have some great deals that aren't posted anywhere else! You never know what you'll find there. www.moneysavingmom.com has saved our large family thousands of dollars this year alone. DealScans.com is great for deals as well. Automatically scanned, so these are deals not found anywhere else! I would love for you to check out my baby deal website which is updated daily to provide the best deals and bargains available to parents. We like saving you a bundle on your bundle of joy! Really nice website for getting good coupons. I use http://dingpow.com, it's a pretty easy to use site, and has saved me tons of money so far! Are you Confused while shopping coupon sites? Then try Topincoupons.com which provides sample product images available for the coupon. You can also find the detailed instructions for using the coupon. So never confused shopping coupons. Use coupons, coupon codes, promotional codes available at Topincoupons.com and save your money. Nice site with good updates. Great list, well done. I'm compiling a directory of coupon sites and I found a few new ones on here. Thank you so much for all the great sites! The savings are incredible. We'd love to invite all the Wisebread fans to print our fantastic collection of day spa coupons and vouchers from 10% off to 50% off day spa services. We have fantastic day spa coupons for all of you! Thank you for all the great web sites! Great list, also try out http://www.salecamel.com/, its another great deal shopping website. bey http://www.gifts4occasions-coupons.blogspot.com/ is good source for gifts and flowers coupons. There are over 2500 stores listed and over 15,000 coupons updated daily. Check out http://www.onewayshopping.com. This is another great site that aggregates online shopping deals and coupons together. I like http://www.shopgala.com. I've used coupons from ShopGala for all types of products (clothes, food, pet supplies, etc.) and they all worked. Plus, they seem to offer a better variety of coupons than most sites I've used in the past. http://www.tweetsteal.com is another great site to get all the hottest deals on Twitter in one place. couponsavemore.com is also a good coupon site with shopping rewards. Great list! Most I haven't heard of and look forward to checking them out! http://savebrite.com has some good coupons and deals posted. Here is also an online coupons place - Ezcouponsearch.com where you can get all the latest deals from top rated merchants and on the products you want...I have already get the free subscription of Ezcouponsearch newsletter this keeps me updated about the latest deals. good article. i'd like to add 3 sites not on the list i like to shop at: dealalert.com, gotodaily.com & couponshare.com. all of these are easy to navigate and post current coupon codes. I am familiar with all these websites and I can say they are very good websites to find the savings you want. Though the number of them can be overwhelming at times. Just pick one or two out of these and stick with them. It's likely you won't miss a deal because most of the time they all feature the same kind of coupons or deals from the same retail store. I can remember in the earlier days before this couponing craze started, it was embarrassing to submit a coupon to a cashier because it just indicates that you are poor. But not anymore. It's becoming the norm. Nowadays, it feels like if you are not using a coupon it's much more embarrassing. I have been using ClickORamaCoupons.com lately and they have some cool coupons. This web site has excellent deals and even local coupons. I think they focus not only on electronics deals, but also toy, kids, men women shoes etc. I liked how they are organized. Check out http://www.sumballo.com - it looks like they are just getting started, but pretty cool concept. I save at least 20% off my groceries every week by using The Grocery Game (http://www.thegrocerygame.com). It costs $5 for 3 months to get deals at one grocery store, and they have a free trial period. They coordinate the Sunday circular coupons with savings at local stores. So when my local store (Publix in W. Central Florida) has a great BOGO free deal, the Grocery Game will tell me to pull the September 3 Smart Source circular for a $1 coupon. Check out http://www.falcondeals.com. They have a huge collection of coupon codes for computers and electronic items.. Here is one more site from my side. This is daily updated coupon websites from top stores. 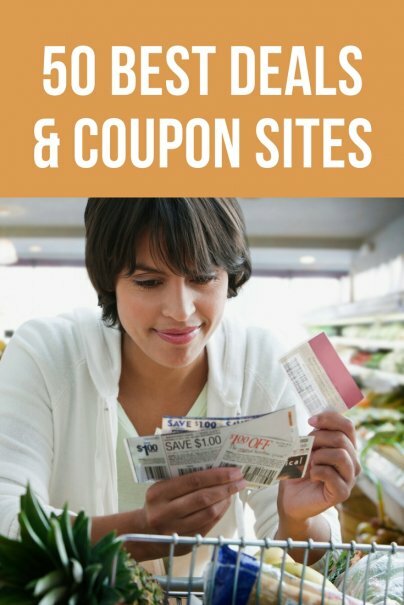 http://babycouponmom.com/ shares coupons and deals for stuff you buy every day. Diaper deals, freebies, baby coupons, grocery coupons, deals on toys and clothing etc . Another deals & coupon sites is www.bargainez.com - it has some of the deals you can't find on others. Worth checking out. CouponFetch.com is also a great coupon site. They list coupons daily for thousands of stores, and even have a "future" tab where they list future coupon deals days, weeks, or even months ahead of time! Great for planning some holiday shopping! They update their coupons every day. http://www.couponandpromotionalcodes.com changed their name to http//www.coupodes.com coupon codes put together in their name, so coupon+codes are called Coupodes now. A little word play there. Retailmenot.com is one of my favorite coupon web sites. For printable coupons like grocery I use Coupons.com. I also like the site 9malls.com for hand picked coupons, also have a good coupon newsletter. Early this December Australian owned Retailmenot was actually sold. i also like website dealpl.us and slickdeal.net and way4deals.com websites for deals and coupons. Another site to add is www.greennickel.com. It pulls deals from multiple deal sites and categorize them. Great Post! Very very useful for online buyers. I would also like to recommend http://dealpacific.blogspot.com and dealzon.com to buyers. These 2 also offers latest deals and coupons. Happy Shopping!!! Don't forget about www.ShopDealMonster.com! Awesome deal a day site with coupon codes. Great list here. If there is anyone who are looking for locally owned businesses that offers great local promotions, coupons and discount, http://www.SmartLocalShoppers.com is the place to find local printable coupons. Every deals on the site are submitted by the local business owners. It's a WIN-WIN local shopping site for everyone who wants to save money! Support local businesses while saving money makes everyone a winner! Best of all, you can find their coupons distributes to some of the sites listed above. This website is great, but I think it's missing two integral sites: BargainJack and BargainJill. Although they may seem a little sexist (LOL! ), they are both user-friendly websites--with Jack catering towards men's needs like men's apparel and electronics and Jill catering towards women's needs like women's apparel and home and garden. Extremely user-friendly; even the most novice bargain shopper could find fabulous deals on these! Definitely should have made the cut. Retailmenot is my favorite site but you missed my another best coupon site http://www.couponrefund.com which has coupons for more than 12000 stores. Another good deals site is http://bestshoppingdealsinfo.com. I got a bargain from that site. It is very wonderful with lots of information. I like search for free shipping services from FreeShipping.com, and get wonderful cash-back from Ebates. Sometimes, I visits the rising-star CouponSnapshot.com for Target's deals. All in all, I always enjoy my shopping with the help of so many good websites. Under the tough economy climate, spend les and save more becomes a must, as well as a trend. I like Funtasia's Internet Coupons. Make sure you sign up for their free Hot Deal Alert newsletter. well ,this site is good too. Shopping with discount vouchers are a real money saver! I like AtoZwire.com for Amazon only deals. They seem to find stuff fast enough that I can repost it to Slickdeals before anyone else has seen it. I'm a big fan of http://www.groupon.com for daily deals. I've been using http://useacode.com to help me find coupon codes for my online shopping purchases. Both sites are easy to use and have saved me quite a bit of money over the last few years. I was wondering how many deal sites there are. I've never heard of half of these so its great to have this list. The one I use most frequently wasn't even on the list. It looks like there are lot of websites and so very competitive market it is. I just know two or three of them. I often made my shopping through http://www.ezcouponsearch.com/ and this often works for me. I have got plenty of discount and coupons from here. you can also count in knownfreebies.com for some good freebies and hot deals around the world. I would say, you have the most comprehensive list of deal and coupon sites. But most of these sites are not updating coupons on regular basis and since now they are on the top of the Google search they just don't care. It’s a reasonable good deal site that can save you a lot of money. http://www.shinyshinydeals.com is my favorite. they feature latest deals on clothes and accessories. Thats a great list but one of my favorites is coupontosave.com, its a site that has a lot of deals everyday, I think one day they posted like 40 deals which is crazy! They are very informative, check them out. I have also find a best coupon deal site which is Hookprice.com. My experience was great and i get my desired savings here. I'm sure you will also like it. I like http://coupontosave.com/ they post produce deals too! A website to try is Betterbargainz. They carry a little bit of everything and have pretty fast shipping. Also free-couponcodes.com is a pretty good one.